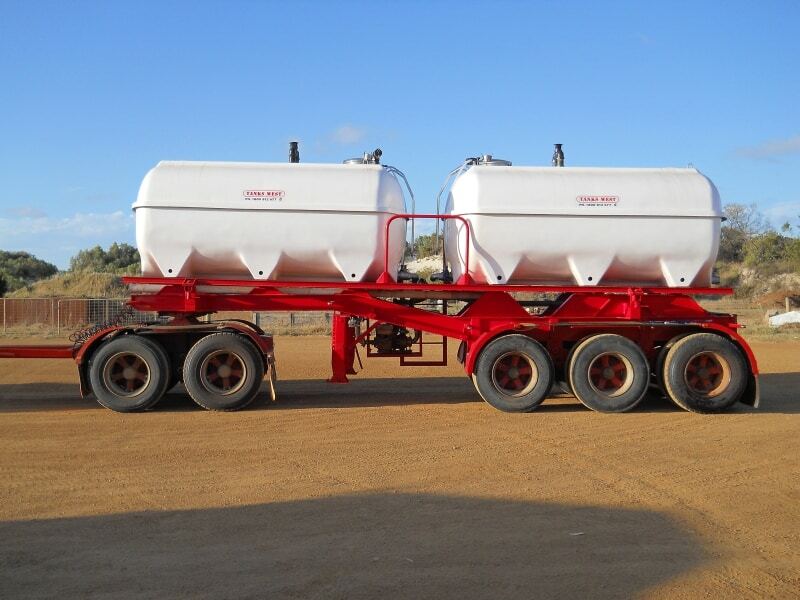 TANKS WEST OFFERS THE LARGEST RANGE OF FRP LIQUID FERTILISER CARTAGE TANKS IN WA. 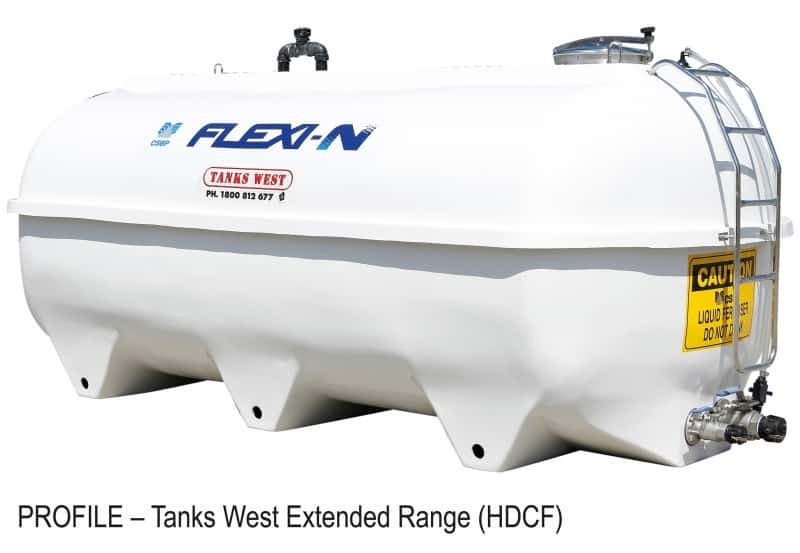 Our cartage tanks are manufactured incorporating the latest resin and laminate technology, featuring superior chemical compatibility, impact resistance and tensile strength. 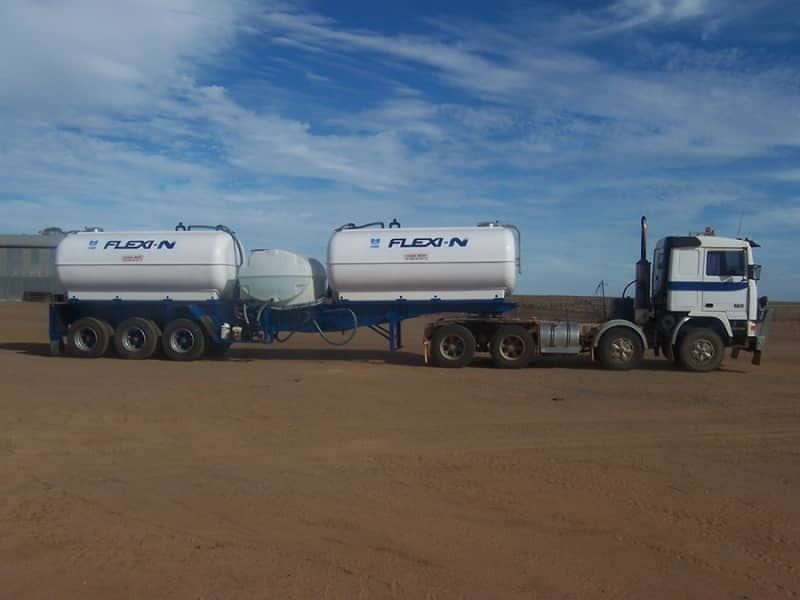 The Tanks are formulated to heavy duty specification and ensures the safe transportation of volatile liquids weighing up to 1.5 kilogram/litre. 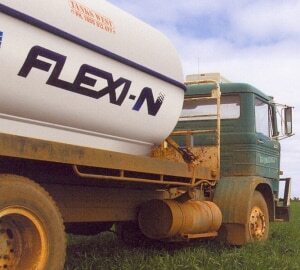 This provides a generous safety margin for liquid fertiliser, which weighs 1.33 kilogram/litre. 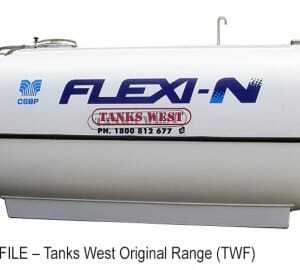 Each tank is fitted with high quality non-corrosive fittings. 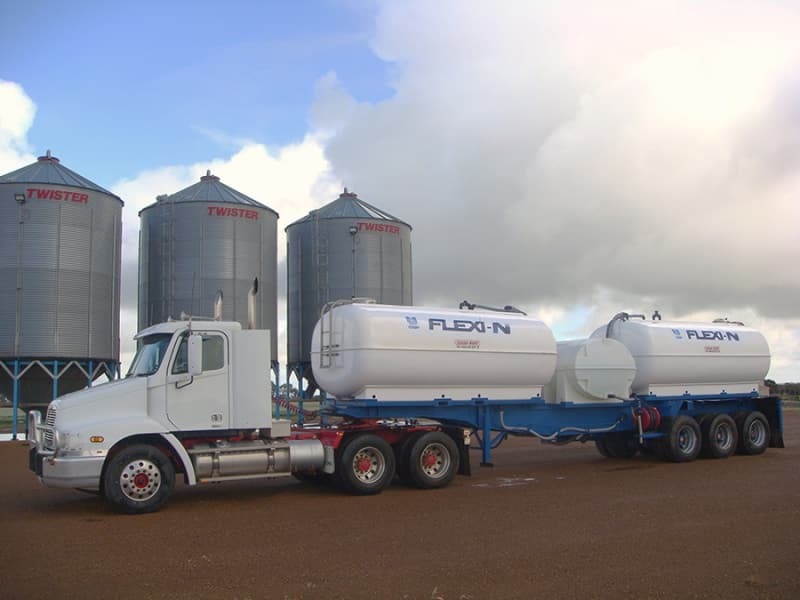 The combination of our superior technology, non-corrosive fittings and generous safety margin makes transportation of your liquid fertiliser safe and efficient. 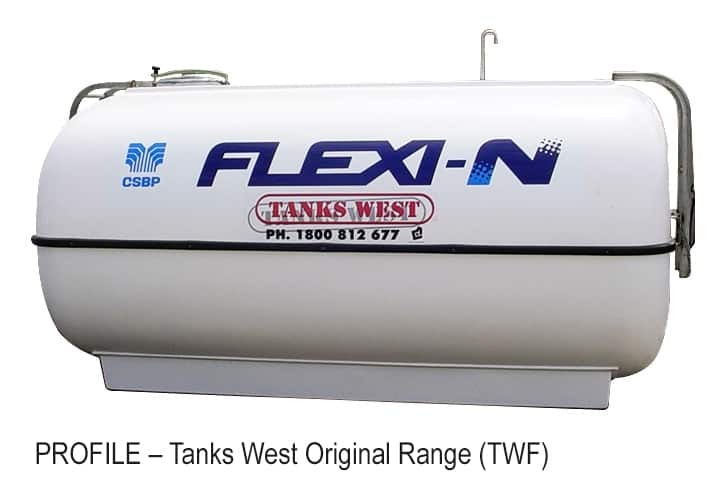 Price includes: Fully sealed stainless steel lid + breather + self draining system, Reinforced feet for secure installation, Fully fixed baffling to reduce liquid surge while in motion, All sizes include 2” stainless steel ball valve plus camlock fill point, Stainless steel ladder included only on tank sizes 10,000L, 12,000L and 15,000L. 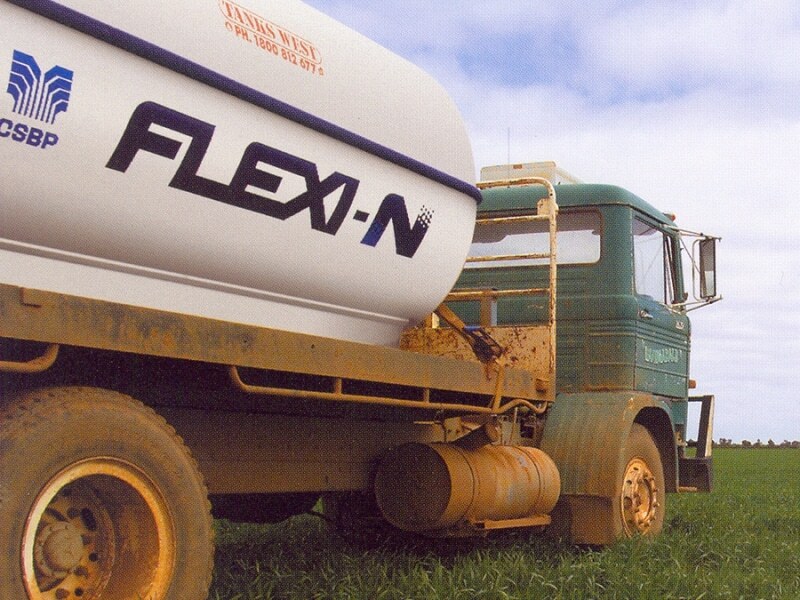 Note: Optional: 3” stainless steel ball valve plus camlock fill point at additional cost. Mounting Bolt Kit at additional cost. 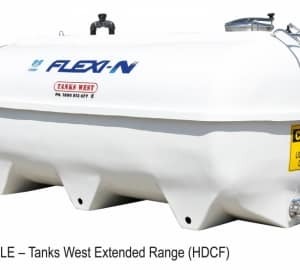 Price includes: Fully sealed stainless steel lid + breather + self draining system, Full length legs, Fully fixed baffling to reduce liquid surge while in motion, 2” Stainless Steel Ball Isolation Valve, Stainless steel ladder included only on tank sizes 10,000L and 12,500L. Note: Optional 3” Stainless Steel Outlet – additional cost. 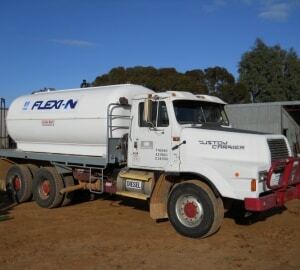 Limits liquid surge while in motion. 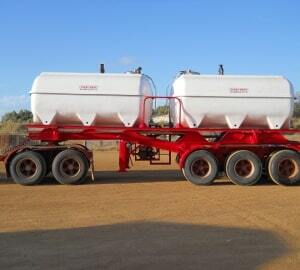 Sump allows for quick & effective drainage. Fully sealed stainless steel hatch for easy access. 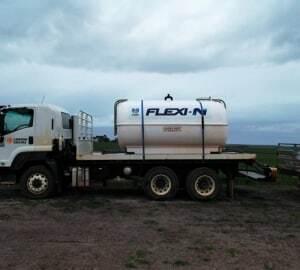 Ideal for Stability and Easy Access. 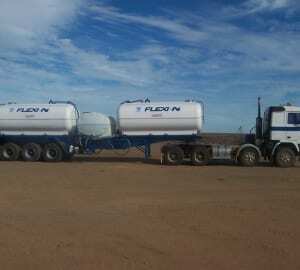 Generous safety margins as tanks are formulated for safe transportation of volatile liquids weighing 1.5 kilogram/ litre. 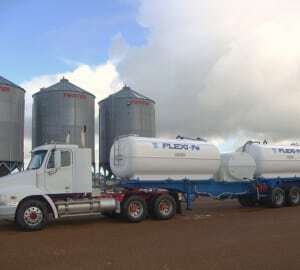 Ensuring your cartage tanks will perform and deliver for many years. 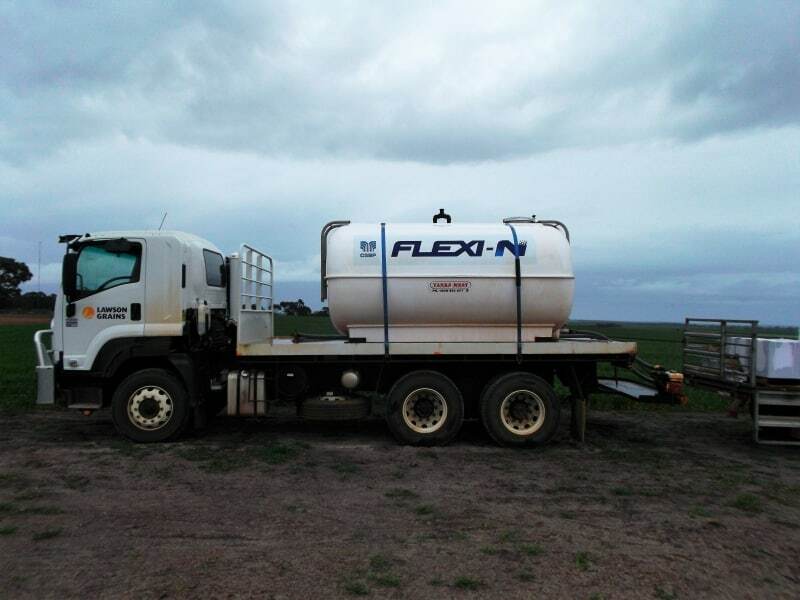 Aussie Poly Pumps are a high performance, self-priming centrifugal transfer pump for a wide range of applications both commercial and agricultural, with a range of pumps for safe, fast and efficient pumping of liquid fertilisers. 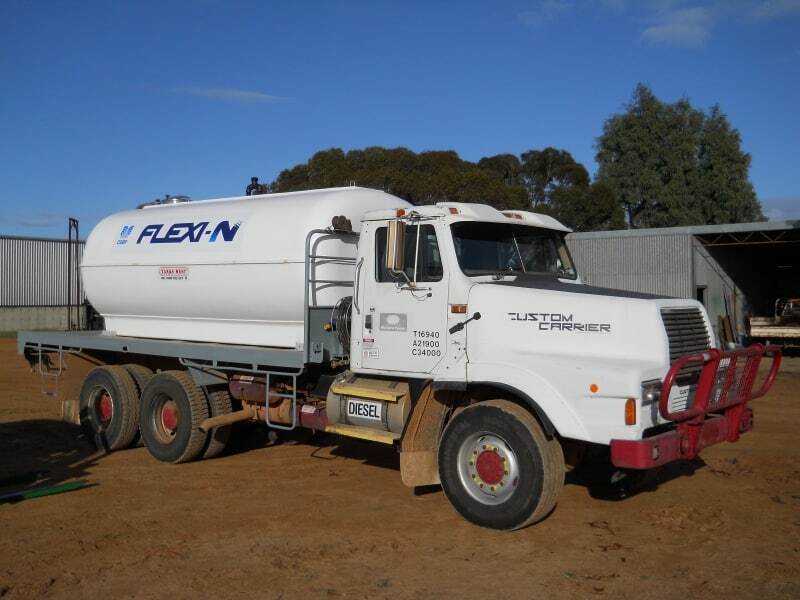 A $66 delivery fee is applicable for pumps delivered on farm within 700km of Perth.